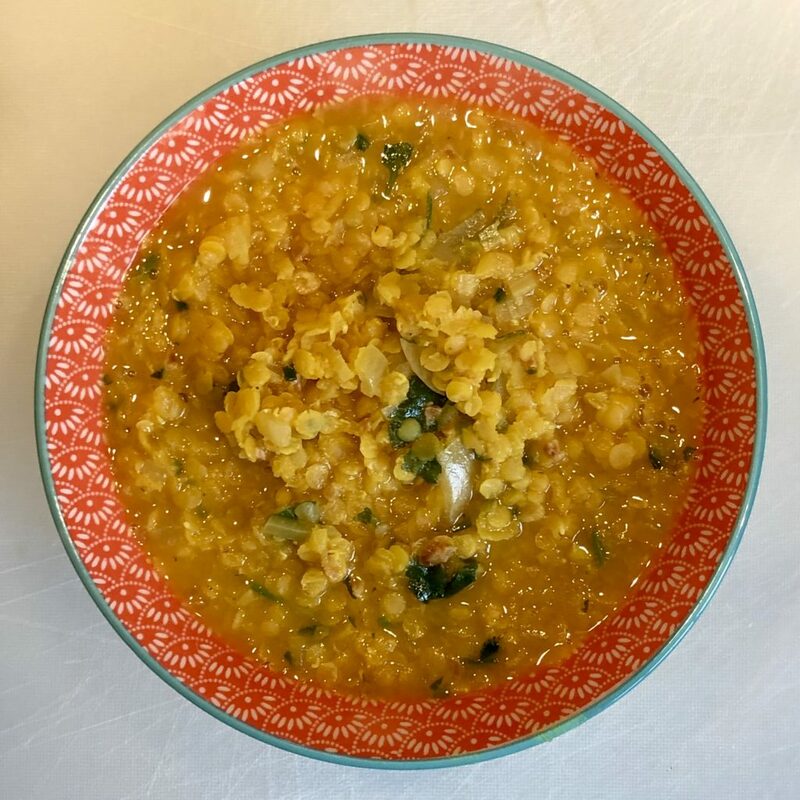 This is my basic recipe for dal – it’s the one I cook when I need a fresh pot of dal quickly. If you’re not sure what stuff should look like at each stage, see the photos below. 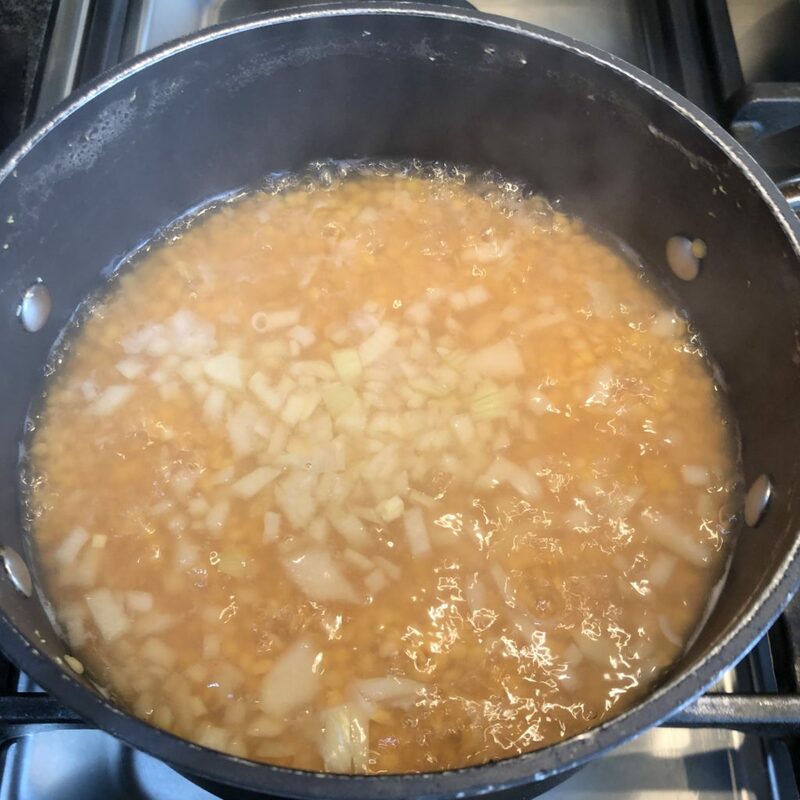 Put the lentils in the pot you’re going to cook them in and rinse until the water runs clear (or as clear as you can be bothered to make it). Add 900 ml of clean cold water to the lentils. Bring to the boil on a high heat. 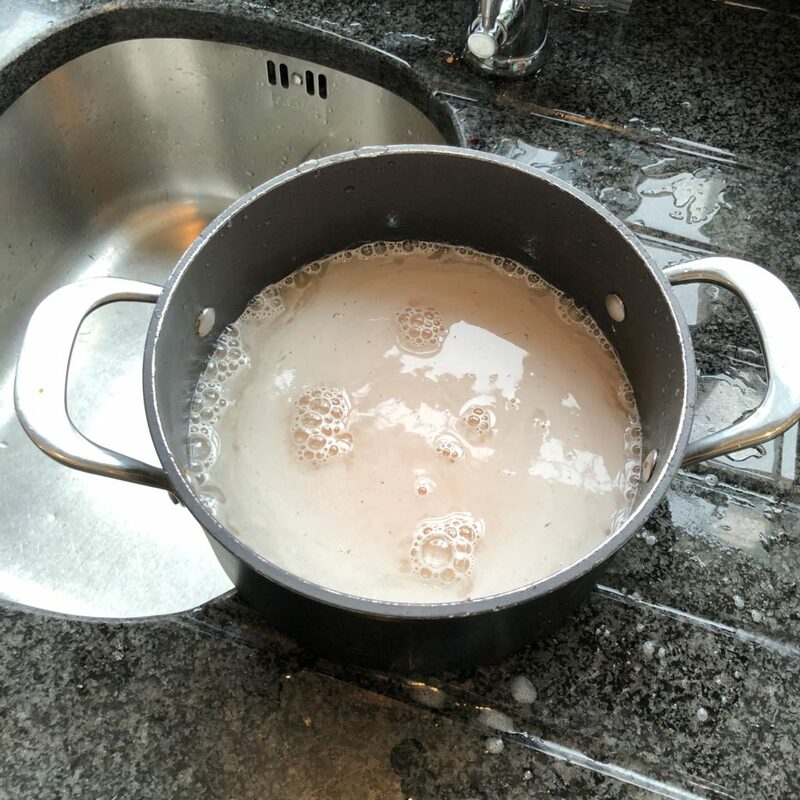 Skim off the white scum that will form on the surface of the water. 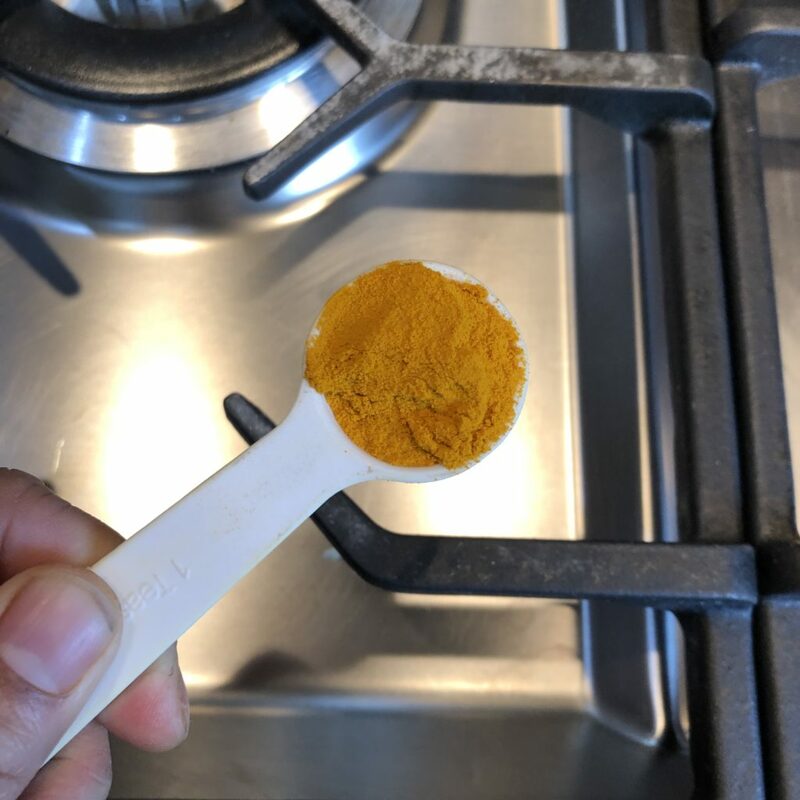 Add a level teaspoon of ground turmeric and a good pinch (3 grams or so) of salt. Give it all a good stir. Leave to simmer on a low heat, with lid on pan for about 10 minutes. 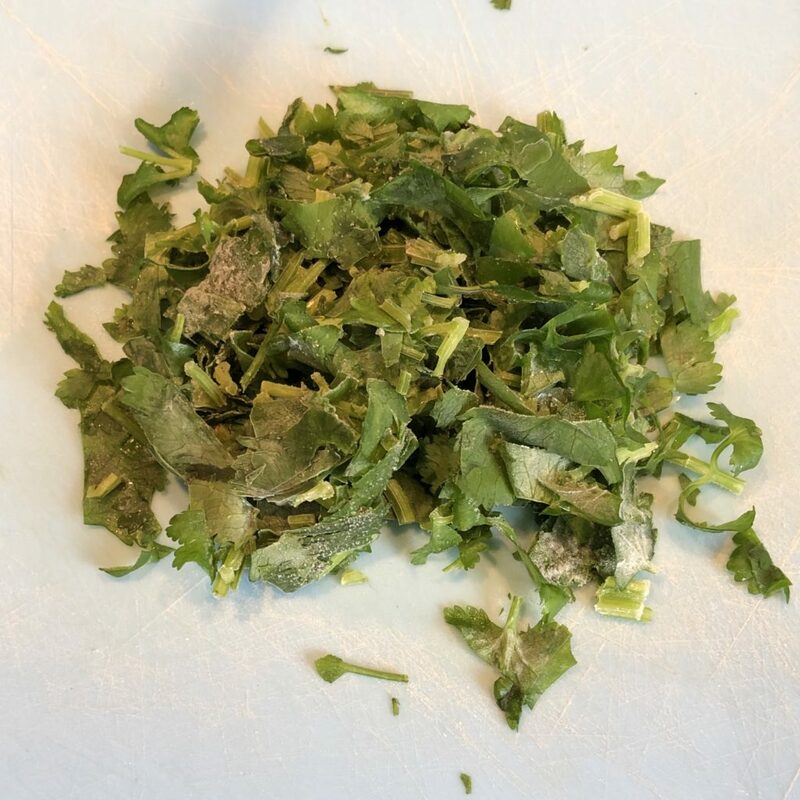 Check occasionally to make sure that there is always a thin layer of water above lentils – if not, add fresh water. 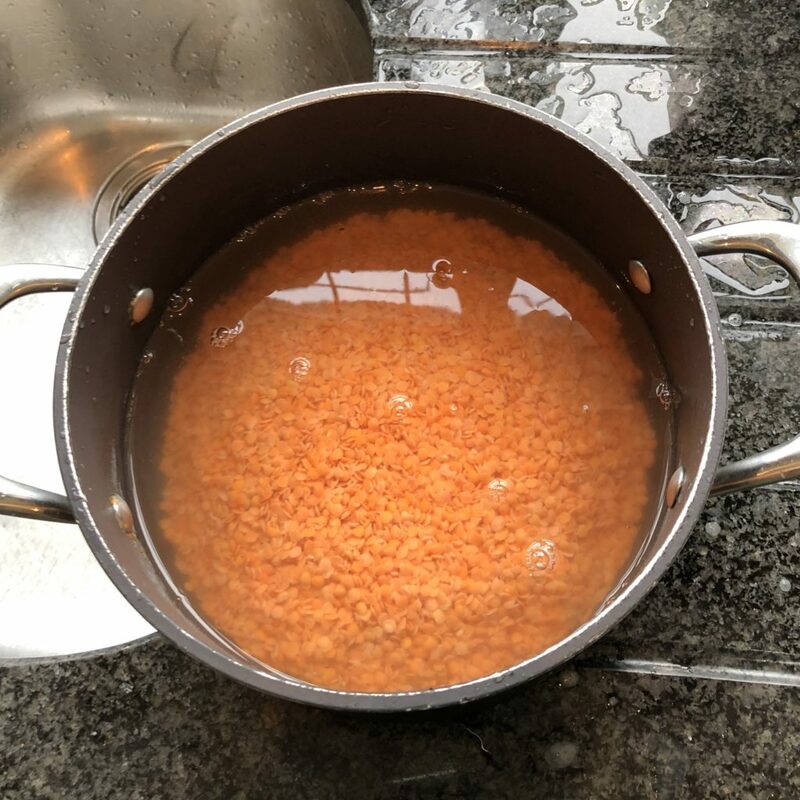 Once lentils are puffed up, give the cooked lentils a good stir. 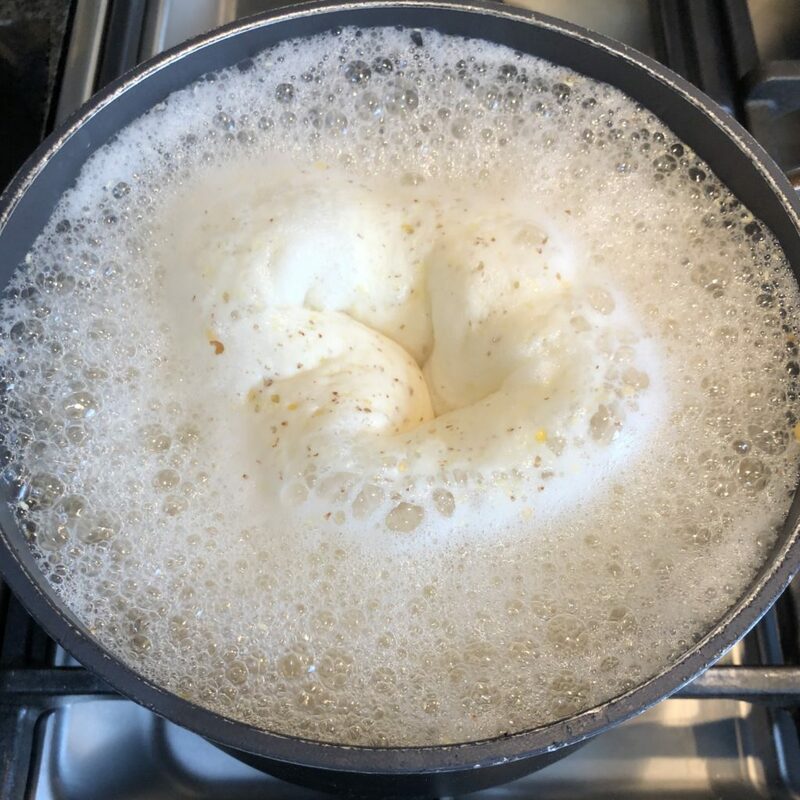 If you want, use a whisk – this will help mash up some of the lentils and make the dish more creamy. Leave on a low heat for about 5 more minutes. 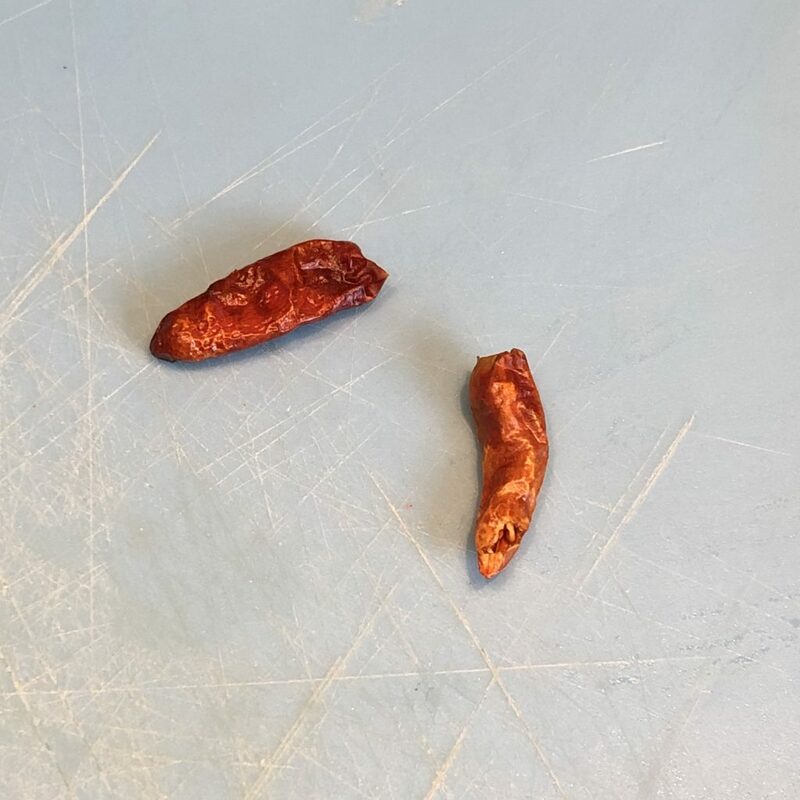 Once lentils are done (they should have no “bite” when you eat them), either leave on a very low heat or take off heat completely. 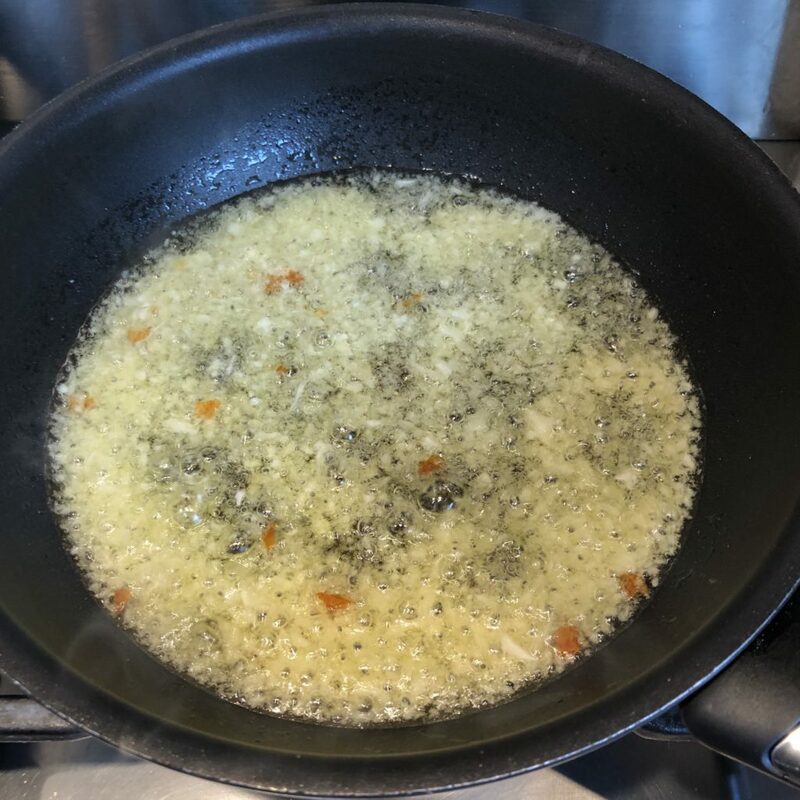 Then, put two tablespoons of vegetable oil (or mustard oil if you have it) in a frying pan and add the garlic. Crumble the dried chillies into the oil with the garlic. Put the frying pan on a low to medium heat so that the garlic fries gently. You must NOT over cook the garlic. 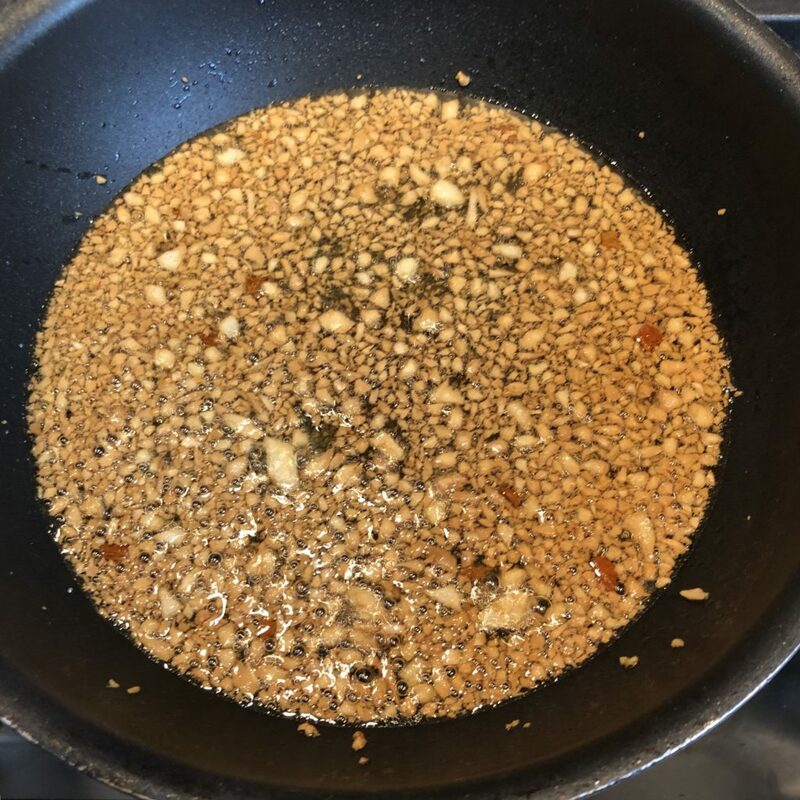 When the garlic is a golden brown colour, pour the oil and garlic directly into the lentils and stir well. Add the chopped coriander and stir that in too. Turn off all heat, and leave pot to sit for about ten minutes. Serve with fresh white rice or roti and some mixed Indian pickle if you have it. 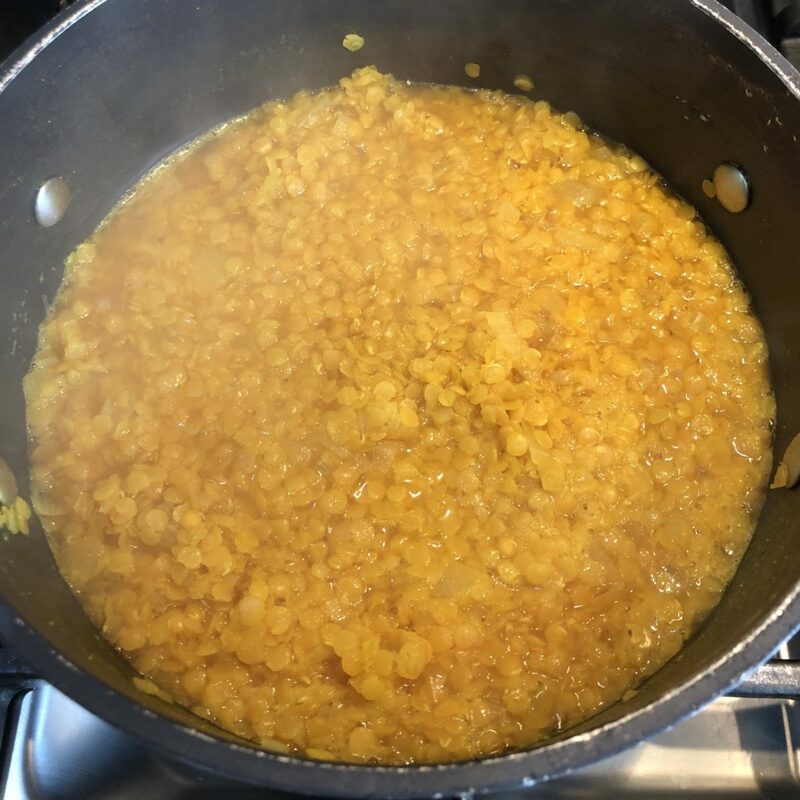 TOP TIPS: If you want a tastier, creamier dal, replace 100g of the split red lentils with 100g of chick pea lentils. Cook this until the chick pea lentils are falling apart, before adding the garlic oil. 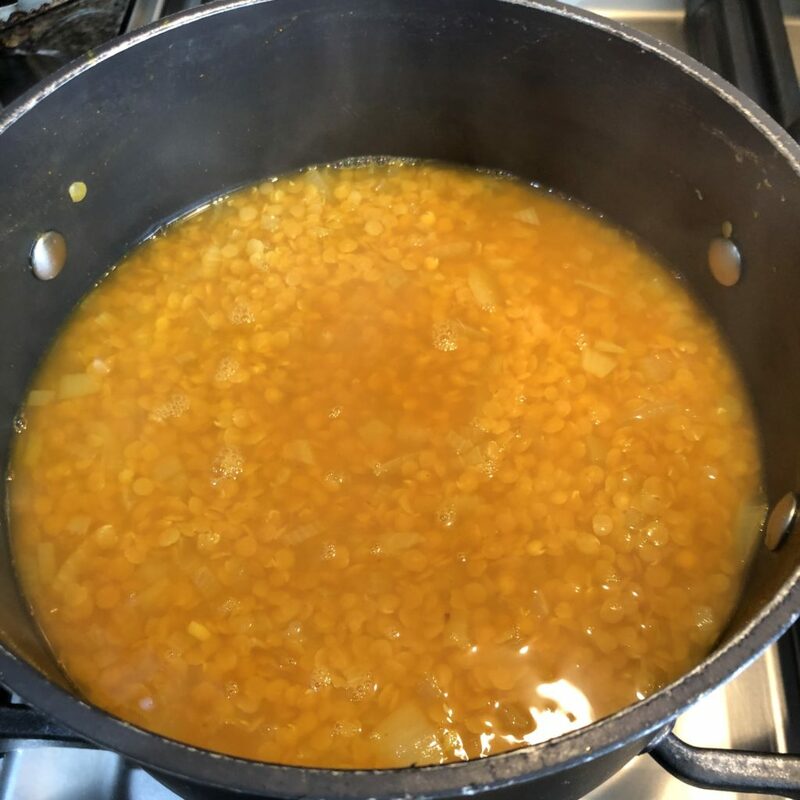 This will take much longer to cook, but produce a much creamier, tastier dal. 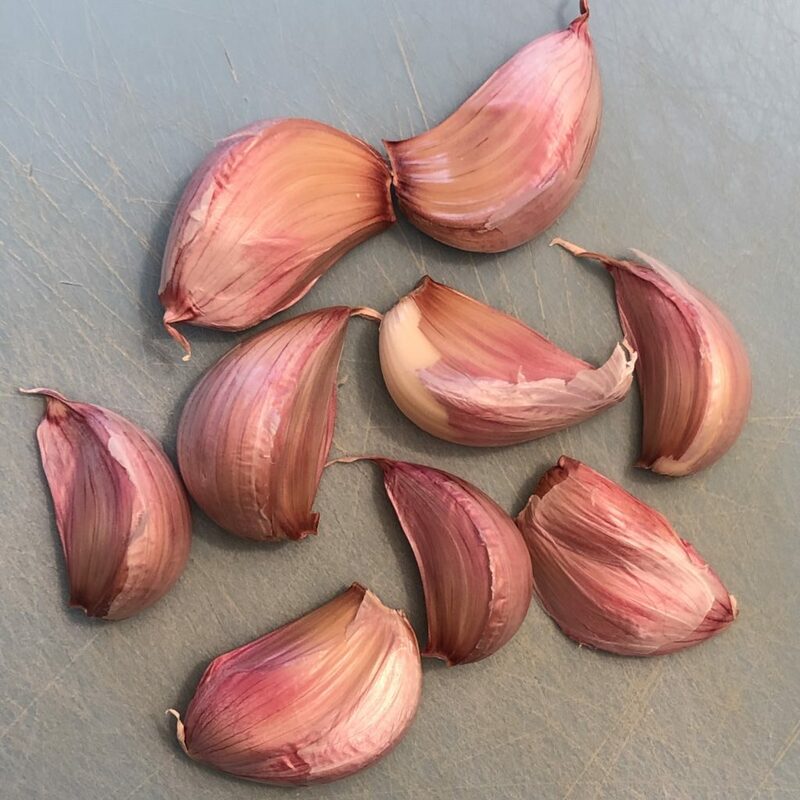 To make this a bit more decadent (and more delicious), fry the garlic in ghee or butter. 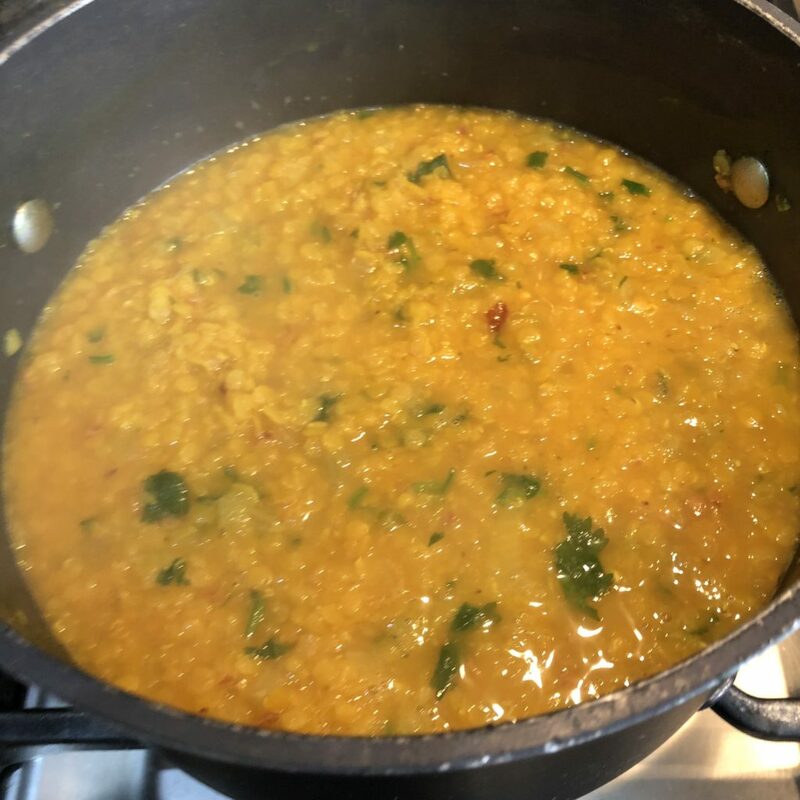 This recipe is for a really basic dal, you can add all sorts of other spices when frying the garlic – throw in some mustard and nigella seeds (or even all the seeds from a panch phoron), ground coriander, ground cumin, some chopped tomatoes, or whatever takes your fancy. 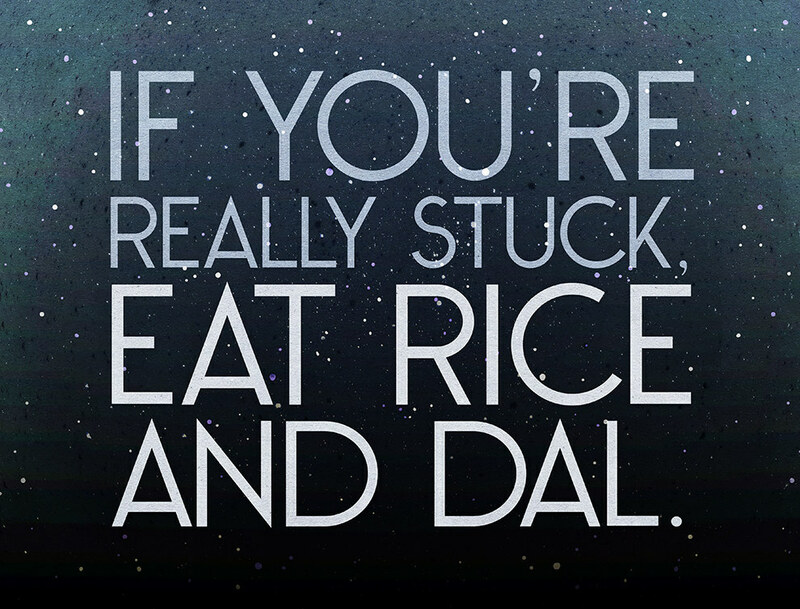 Experiment, and make your own favourite dal. Lentils cooked ready for addition of garlic oil. 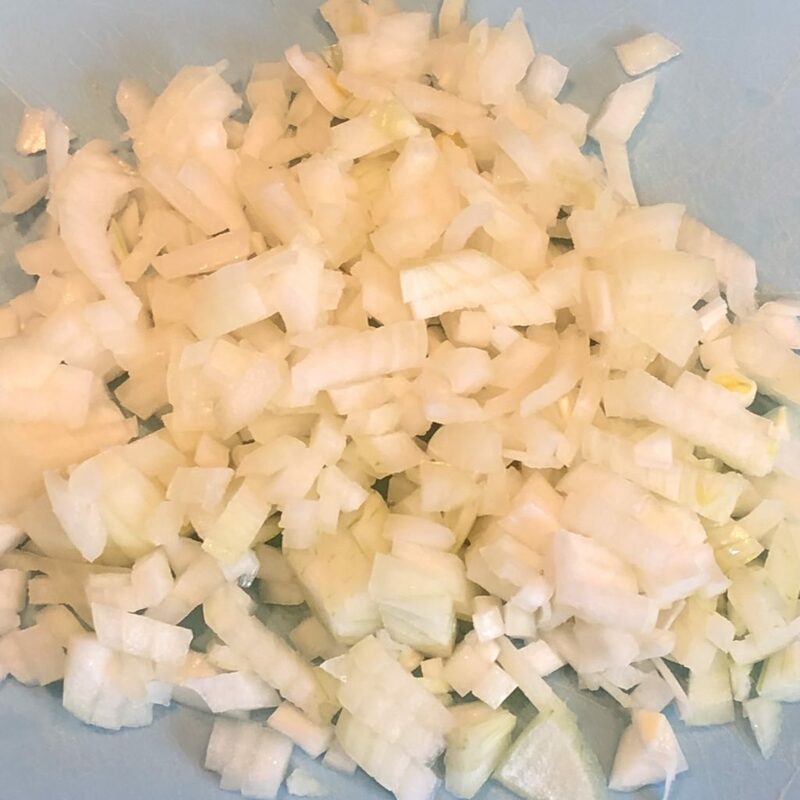 Hello, thanks for sharing this recipe. Are chick pea lentils the same thing as chick peas please?